NBA free agency officially begins at 12:01 a.m. ET Saturday. While a player can agree to a contract as soon as free agency begins, he cannot sign the contract until the moratorium periods ends Thursday. Some players are restricted free agents, and their most recent team can match an offer from another team and retain that player. A look at the top 25 free agents in the NBA. 1. 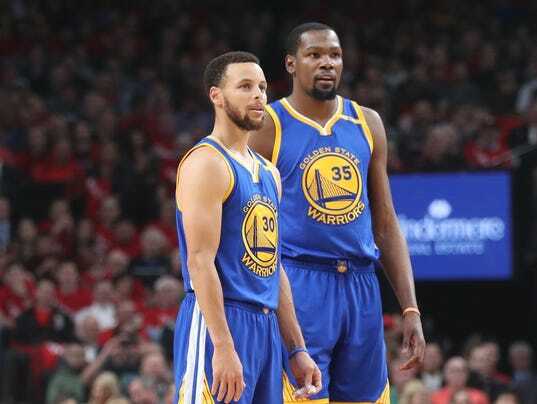 Kevin Durant, Warriors, forward: One of the league’s top three players on its best team, the NBA Finals MVP will get paid and have several more chances to win a title. 2. Stephen Curry, Warriors, guard: The best three-point shooter was on the most valuable contract in the NBA at four years and $44 million. That’s about to go to five years, $200 million.